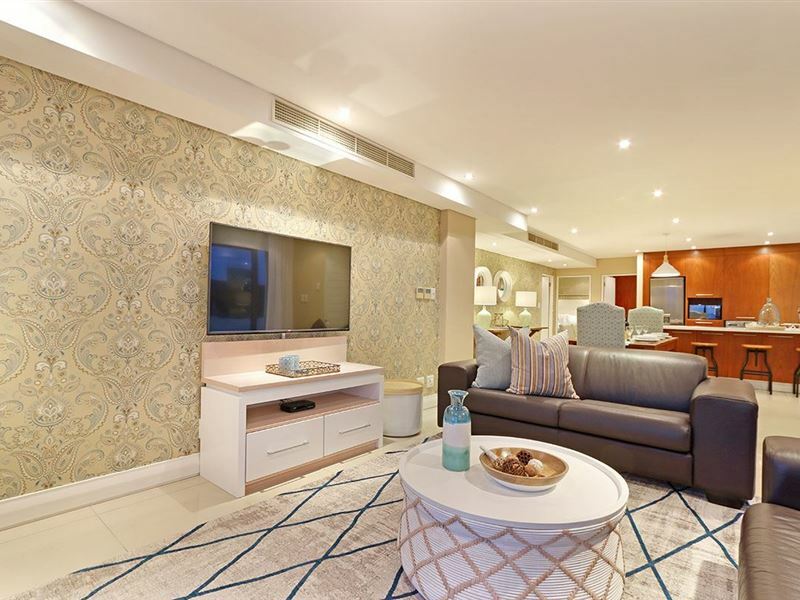 Allow yourself the pleasure of a stay in this elegant and private three bedroom holiday apartment in the shopping and lifestyle complex of Eden on the Bay in Big Bay, Bloubergstrand. 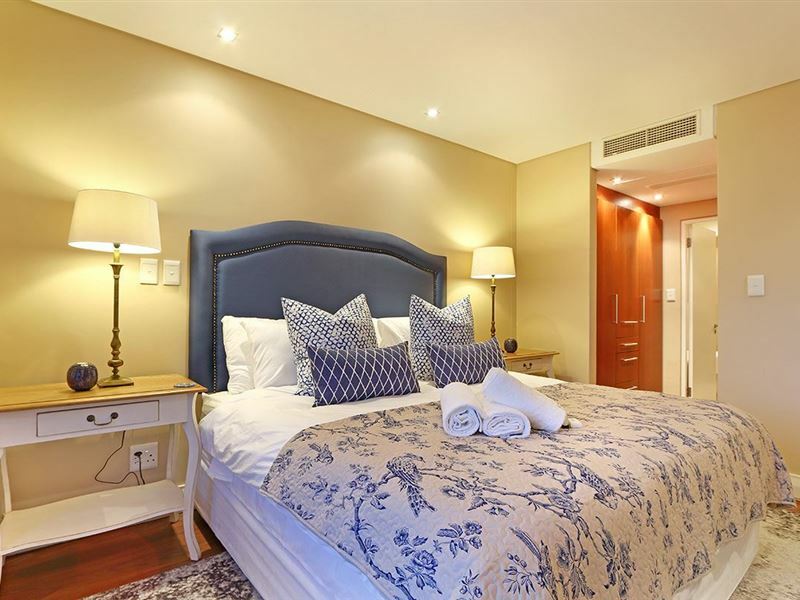 This vacation package offers you a wonderful location in a secure complex, close to the Atlantic Ocean with views towards the beautiful Table Mountain. 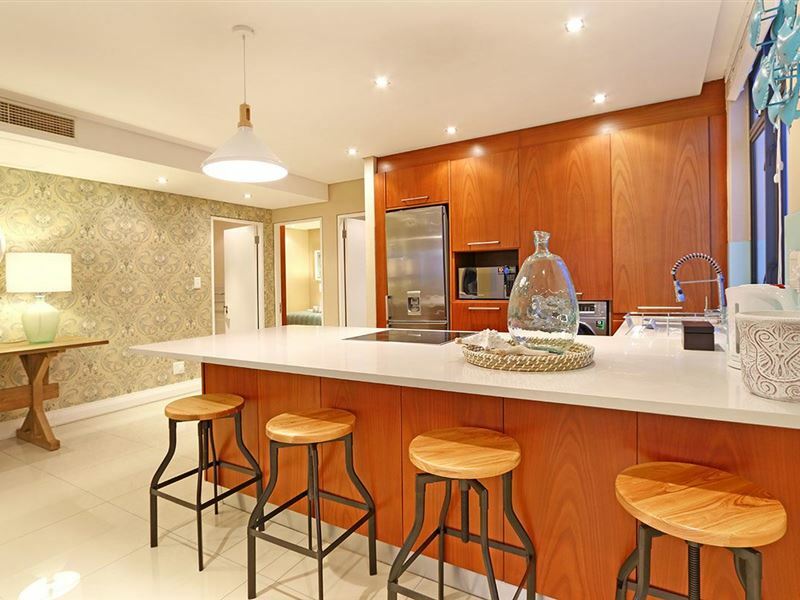 The charming main interior is open plan with the kitchen leading to the dining area and lounge. 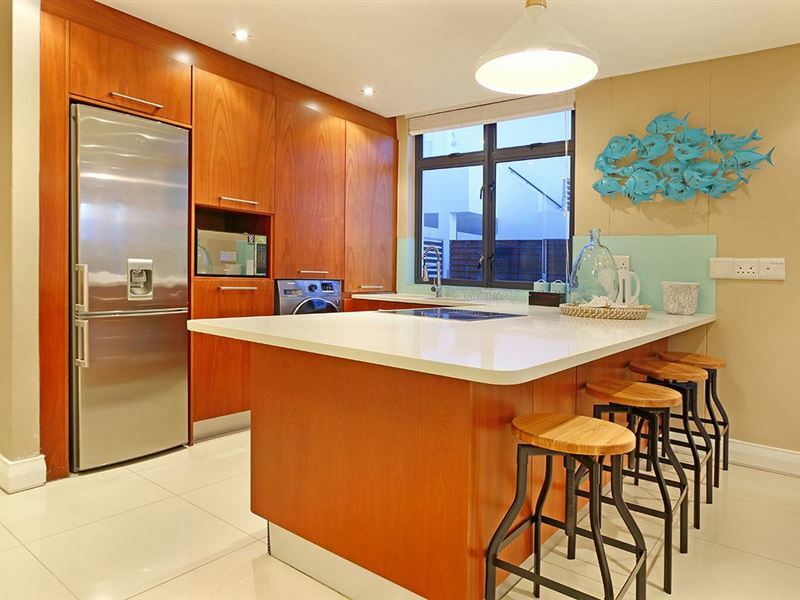 The kitchen with granite topped counters is fully equipped, including a kettle, fridge, microwave, duo washing machine/dryer and a built-in oven with a stove top. The dining area has seating for eight. 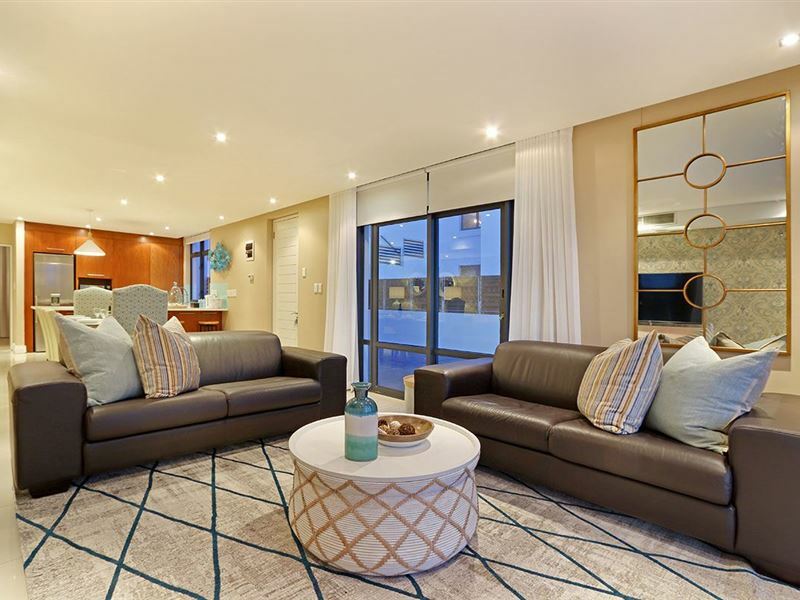 The luxuriously furnished lounge offers ocean views, a wall-mounted flat-screen TV with DStv decoder, and access to a large secure lock up patio area. The three lovely bedrooms include a king-size bed in the main, a double bed in the second and a queen size bed in the third. 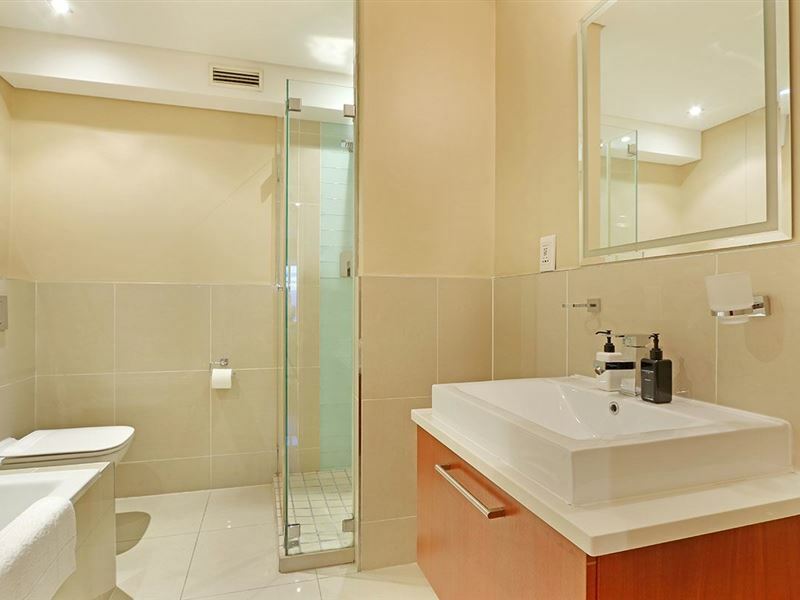 The main bedroom is en suite with a bath and shower while there is a guest bathroom with a shower only. Guests may use undercover parking . 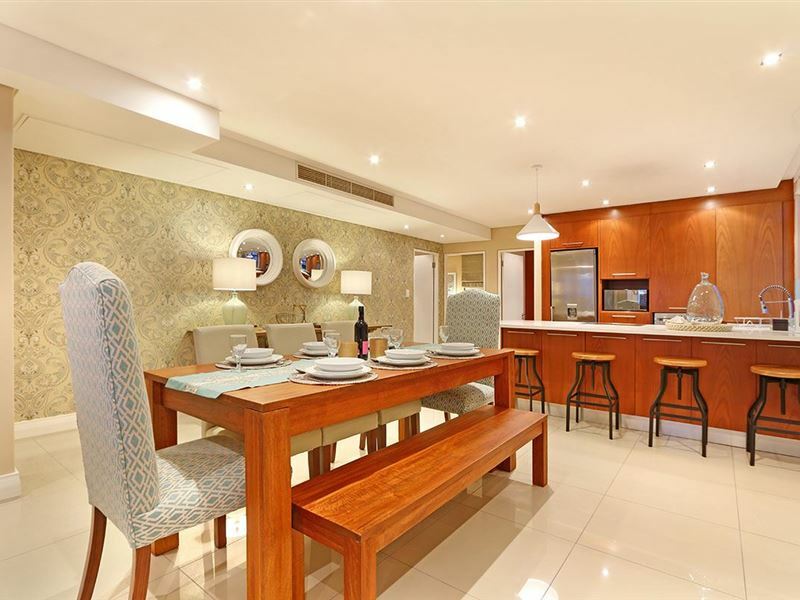 A stay in Eden on the Bay puts you close to an exciting entertainment district, where you can enjoy scrumptious dishes at popular restaurants, such as Captains Kitchen, Moyo and Izabellas. The complex furthermore gives you immediate access to the famous Big Bay beach, a hotspot for surfers and kite surfers and the official location for the annual Red Bull King of the Air competition. 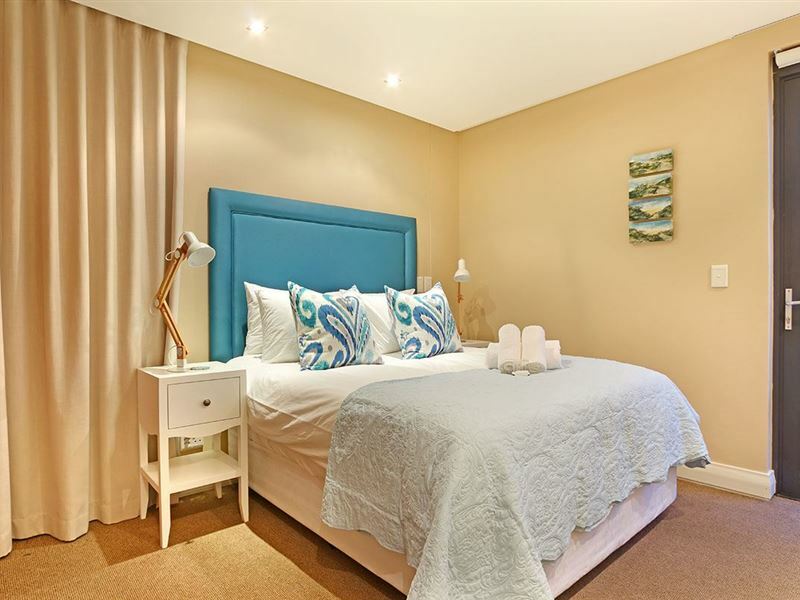 While enjoying a stay in Eden on the Bay, you will have a relaxing option for travelling around Bloubergstrand, with a MyCiTi bus stop conveniently nearby. Discover all the inviting restaurants here, some situated on the beachfront, and go just a bit further to explore those within the energetic City Centre of Cape Town. Added to all this is that Bloubergstrand is also the gateway to the amazing West Coast, a region with a variety of charming towns and the majestic West Coast National Park. 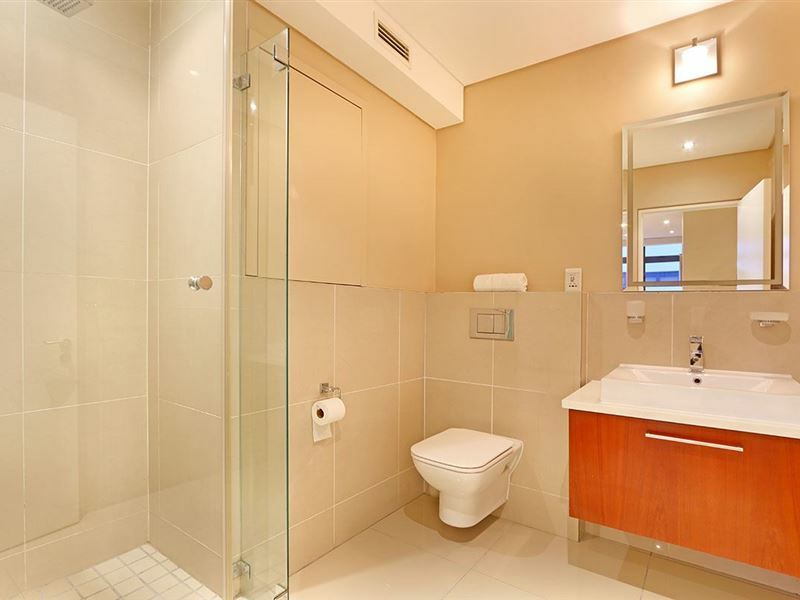 "Close proximity to good restaurants, beach and shops. " Watching sunsets whilst sipping cocktails on the balcony were breathtakimg. No veg bean bunny chow. Paneer was tasteless and roti half cooked Milkshakes were awesome. Indian food and sports shown on TV's all around you... Beer on tap... Cocktails... What more could you ask for? Great venue, decent food and friendly staff. It is a nice place to meet friends for a drink with awesome views of Table Mountain. The food is basic and the staff are amazing and friendly. The prices are reasonable. Not really a place to take kids. Great breakfast special!! Affordable restaurant on the beach. Great service, great view. What more do you want. Tastey food. The indian food isn't very authentic but it still tastes excellent. Request a quote from Eden On The Bay 167 at no obligation. Eden On The Bay 167 is within a convenient distance from the beach.